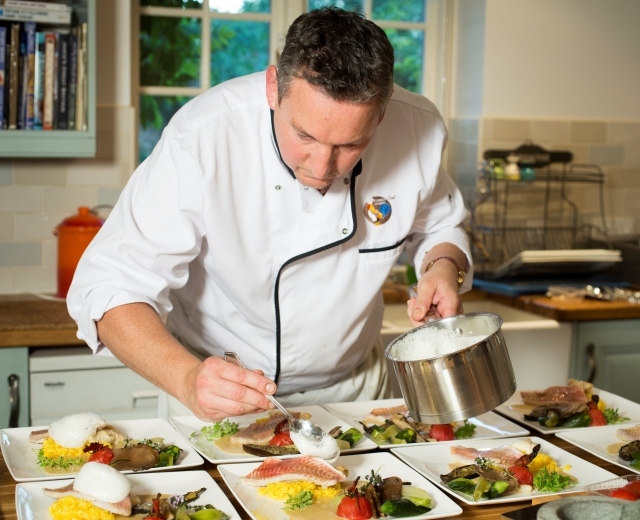 Francophiles can experience a little taste of France in Malton next month by heading over to Malton Cookery School for a Chef’s Table with classically trained French Chef at Home – Yves Quemerais. Yves trained under acclaimed chef Alain Ducasse. 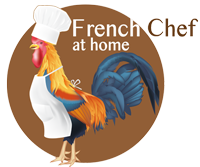 His delicious dishes combine the traditional gourmet flavours of France with seasonal fresh Yorkshire produce and in this session he will show you how to do the same. After sharing his techniques and expert tips on how to make the various elements, guests can then enjoy the dinner Yves has prepared. 7.30pm Meet at the Malton Cookery School for champagne & canapés. 8.00pm Dinner is prepared and served at the Chef’s Table. Accommodation is available at the Talbot Hotel at 20% off listed prices. The hotel is just 2 minutes from the Malton Cookery School. To celebrate the start of Wimbledon (27 June – 10 July) we have put a French stamp on the traditionally British Wimbledon delicacy of strawberries and cream. We topped our fresh strawberries and mint with Chantilly cream. Chantilly cream is named after a town and beautiful castle near Paris; the whipped cream is light and fluffy and often sweetened with vanilla – a delicious accompaniment to the sweet strawberries. To add a final French touch we added a small, rolled crêpe lightly sprinkled with sugar. For our full recipe on how to make the perfect crêpe read our blog here. To finish and for added freshness, we have added a sprig of chocolate mint and a brightly coloured edible borage flower, picked from the garden for decoration. We are both keen tennis players and supporters so we always look forward to Wimbledon. 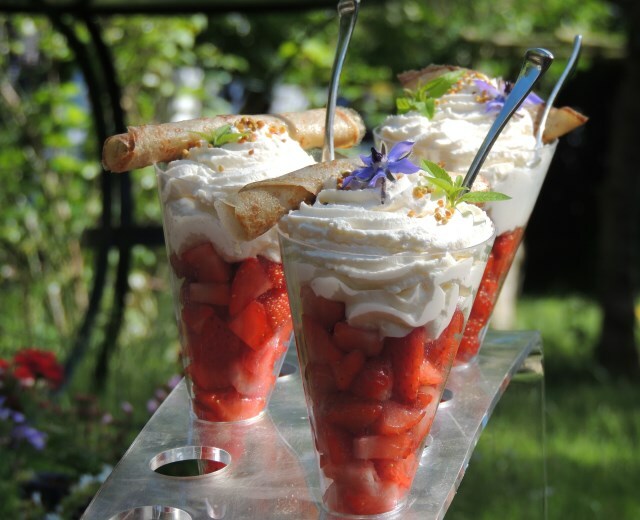 We will of course be supporting both Richard Gasquet and Andy Murray whilst enjoying our fraises et crème Chantilly.